Please click here for our Assessment Policy (link to this page is also available on unit outlines). To choose a course of study, students should give thought to what they want to do after College and take courses that will prepare them for their intended career or future studies. It is important to take into consideration subjects that students like doing and are good at. Students can obtain advice from the careers advisors at the College. 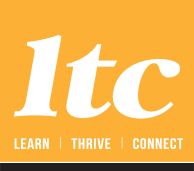 Check out the Learning Areas and Courses page for detailed listings of all the courses offered at LTC. Students will need to select a combination of five (5) Accredited (A), Vocational (V) or Tertiary courses (T), which should include English and Mathematics. We encourage students to add a Registered (R) unit to make up a package.